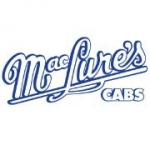 To search for a workplace that is part of Construction Industry Alliance Trade Unions (CIATU), Master Trade Union Offices, or Allied Hydro Group, scroll to the bottom of this page. Workplaces listed under Allied Hydro Group include: AECON; Columbia Hydro Contractors; GE Renewable Energy Canada Inc.; SNC Lavalin Constructions (Pacific) Inc.
Workplaces listed under Construction Industry Alliance Trade Unions (CIATU) include: BC and Yukon Territory Buildings and Construction Trades Council; BC Construction Industry Rehabilitation Plan; BC Labourers Pension Plan; Construction & Specialized Workers Union Local 1611, Vancouver; Construction & Specialized Workers Union Local 1611, Victoria; Construction and Specialized Workers Medical and Benefit Plan of BC; Construction and Specialized Workers Training Society; International Association of Bridge, Structural and Ornamental Iron Workers, Local No. 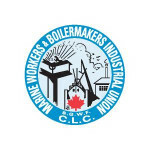 97; International Association of Heat and Frost Insulators and Asbestos Workers, Local No. 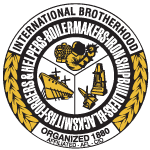 118; International Brotherhood of Boilermakers, Iron Ship Builders, Blacksmiths, Forgers and Helpers, Local 359; International Union of Bricklayers and Allied Craftworkers Local #2 BC; International Union of Elevator Constructors, Local Union No. 82; International Union of Operating Engineers Local 115; International Union of Operating Engineers Local 115 Training Association; International Union of Operating Engineers, Local No. 882; Ironworkers Trade Improvement Committee c/o Local 97; Labourers Membership Services; Metal Trades Division of the Union Association of Journeymen and Apprentices of the Plumbing and Pipefitting Industry of the United States and Canada, Local No. 170; Millwrights, Machine Erectors & Maintenance Union, Local 2736; Operating Engineers Benefits and Pension Plans; Piping Industry Apprenticeship Board; Plumbers Local Union 170 Welfare Plan; Sheet Metal Workers’ International Association, Local No. 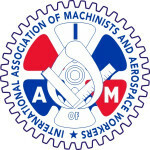 280; Sheet Metal Workers Welfare & Pension Plan; United Association of Journeymen and Apprentices of the Plumbing and Pipefitting Industry of the United States and Canada, Local No. 170; United Brotherhood of Carpenters and Joiners of America, Local No. 2404 (Pile Drivers, Divers, Bridge, Dock and Wharf Builders). 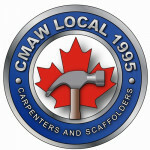 Workplaces listed under Master Trade Union Offices include: Bakery & Confectionary Workers International Union of America, Local 468; BC Professional Fire Fighters’ Association and BC Professional Fire Fighters’ Burn Fund; Brewery, Winery & Distillery Workers Union, Local 300; Capilano University Faculty Association; CUPE 2011; International Brotherhood of Electrical Workers Joint Training Committee; International Brotherhood of Electrical Workers, Local 213; International Brotherhood of Electrical Workers Union, Local 213 Welfare Plan; International Brotherhood of Electrical Workers, Local No. 258; International Brotherhood of Electrical Workers, Local No. 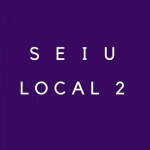 993; International Brotherhood of Electrical Workers, Local No. 1003; International Longshoremen’s and Warehousemen’s Union, Marine Section Local 400; International Longshoremen’s and Warehousemen’s Union, Local 502; New Westminster & District Labour Council; Unifor, Local 76 (Communications, Energy and Paperworkers Union of Canada, Local No. 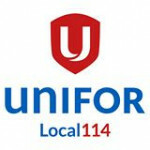 76); Unifor, Local 601 (Communications, Energy and Paperworkers Union of Canada, Local No. 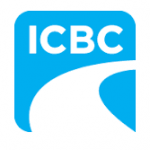 601); Unifor, Local 780G (Communications, Energy and Paperworkers Union of Canada, Local 780G); Vancouver & District Labour Council; Vancouver Community College Faculty Association.